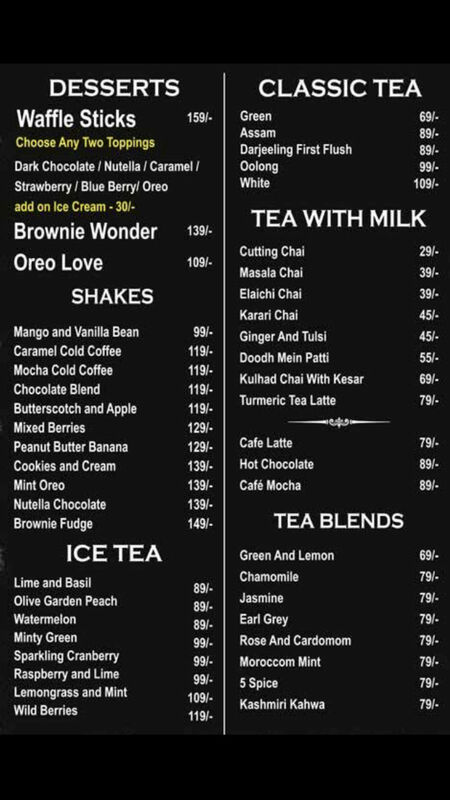 Chai Story is a chain of food cafes serving an array of lip-smacking shakes, teas along with delectable fast food. It has multiple outlets in the city with minimalistic décor and cosy ambience. It is a hygienic tea joint and proves to be one of the best places for tea lovers. Head to this place for those deep conversations, meetings or just to spend some quality time with your friends over a hot cup of tea. 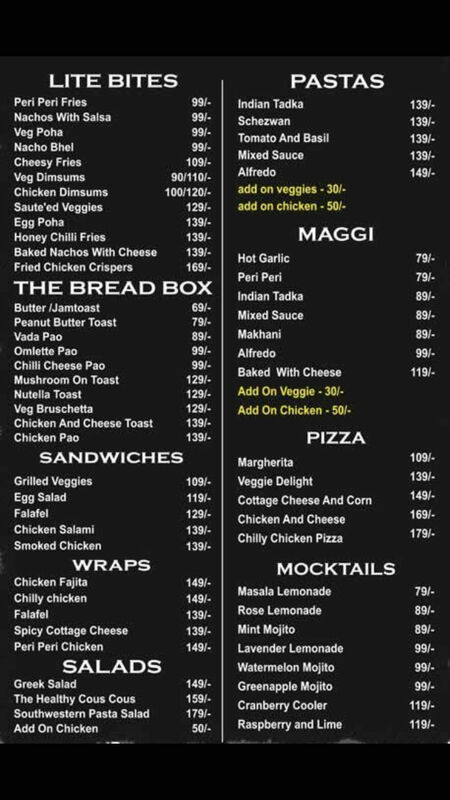 Chicken- Cheese Toast, Vada Pao, Peri Peri Maggi and Nacho Bhel are some of their must-have dishes.